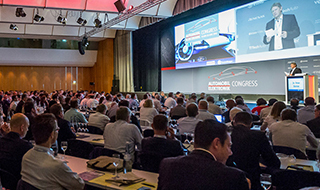 The 2018 Automotive Elektronik Kongress in Ludwigsburg was not about autonomous cars or any other technology that comes with a 10-year engineering horizon. When the industry’s most senior people that are actually tasked with building the cars and technologies of the future met in one room, they talked about stepping up to meet the challenge of software complexity and continuous integration & development. Over half of the 25 companies who presented talked about the critical need for Software Lifecycle Management and Continuous OTA Updates. These included: Elektrobit, Bosch, TTTech, BMW, Escrypt, Audi, Deutsche Telekom, Volkswagen, Harman, Here, Continental, Intel, and others. There was wide agreement in the Kongress that Software Lifecycle Management is essential to speed up a time to markets of new product functionality, fix software bugs, enable new mobility and post-sale business models, and continuously maintain the car’s security. In interesting discussions I had with many of the attendees, there was widespread agreement of the need for a next generation OTA Update technology that enables the updates to happen with zero downtime, without requiring additional memory and a higher BOM. Improved user experience is paramount for OTA updates to become widely used throughout the vehicle. OEMs have already embarked on the journey to not only introduce new technology but also change the organization and processes to meet this need for a continuous software release world.